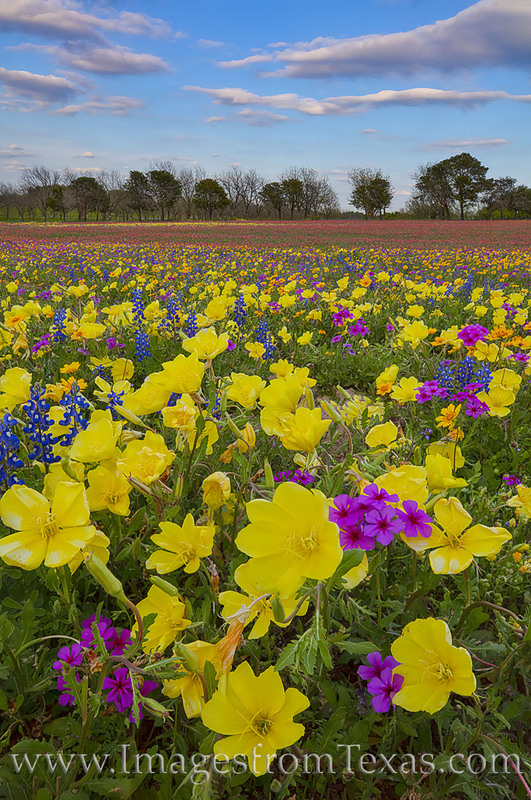 Colorful wildflowers - Missouri primrose and an assortment of other colorful blooms - lead up to a lead to a treeline on the horizon in this late March photograph from New Berlin, Texas. From my perspective, it seemed the entire landscape was alive with a canvas of red, blue, yellow, purple and green. The fading sun left a soft colors lingering in the sky for a short time, as well, thus creating a beautiful end to the day in this rural area. Photo © copyright by Rob Greebon.